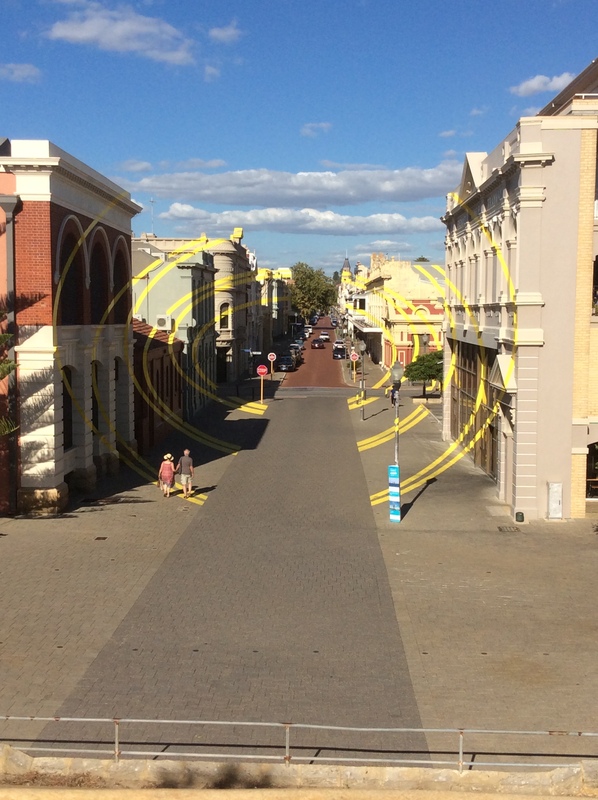 Fremantle, a haunting experience | Turning my world upside down! Fremantle was once the chosen location for the Anzac Convoy departure. Although that idea didn’t come to fruition, it did become the second largest base for the Allied submarines during the Pacific conflicts in WW2. In spite of the intention to settle this area as a free colony, the development of this area required more manpower. Thus it was decided that bringing in convicts, who were close to the end of their prison term, would allow for further economic development as they would help build the many buildings required for this port town. Many of the convicts, once released, decided to settle in the area. 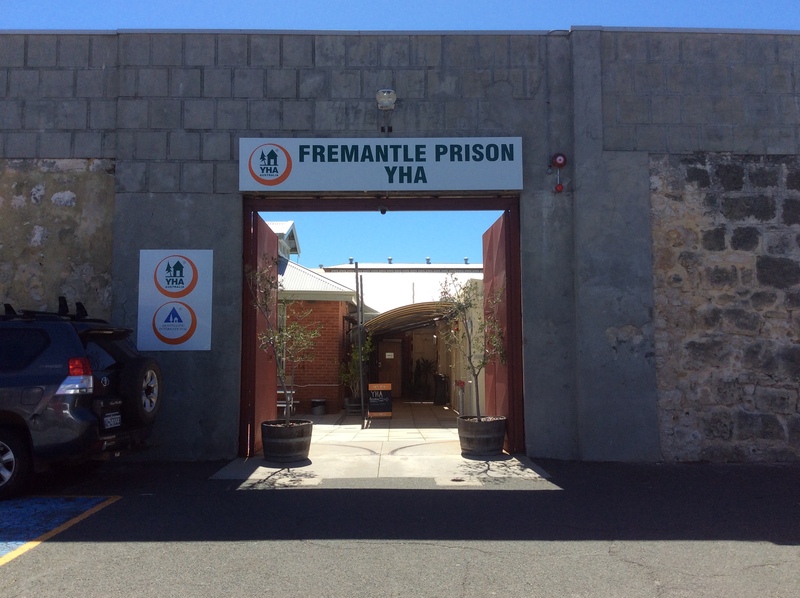 Our 2 day stay was to include a visit to Rottnest Island and a stay in the YHA Prison Hostel, once the women’s jail. As we checked into our hostel, we were effectively welcomed to prison! Our room was a private cell with an ensuite. Undoubtedly more luxurious than the original cells. But the inside of the prison does retains its original fixtures with solid wood doors, bars on windows, exercise areas and solid stone walls. The corridors have plaques with stories of notorious prisoners and rumours of ghosts about. Guests are asked to advise reception if a ghost is spotted. On our first night, I left the window open and the wind made the bathroom door rattle and the sensor activated bathroom light come on constantly. It woke me up but I was too afraid to open my eyes in case it was a ghost. 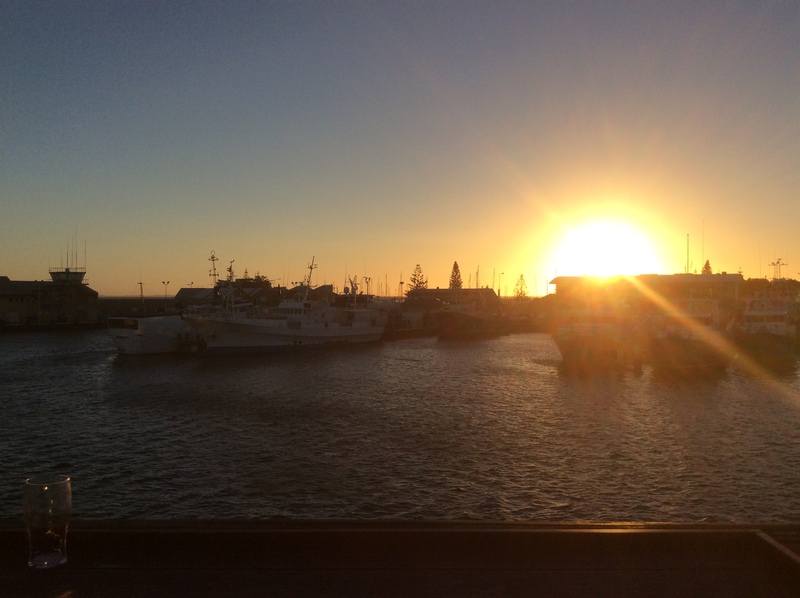 On our first day, we walked extensively around the port area, walked around the Round House (Fremantle’s oldest public building, a former jail), looked at the art exhibit by artist Felice Varini (Arcs D’Ellipses) that took up a whole city block and had a glass of wine at a chic rooftop bar beside Little Creatures Brewery while watching the sunset. What a unique place to stay. Yes it is. Our friend Sheryl told us about it. We’ve stayed at other YHA hostels in Australia and always enjoyed them. They are a great deal for those who don’t want to stay in a hotel. And clearly, you can get a private room with ensuite that is just as luxurious as a lower grade hotel. The advantage is the communal area for cooking. You meet a lot of interesting people there.